Treat yourself to a cup of piping hot ginger tea. When made with fresh ginger root, it will be far tastier than ginger tea brewed from a stale tea bag. It's a healthy drink that's great for digestion, with a reputation for being soothing and healing. 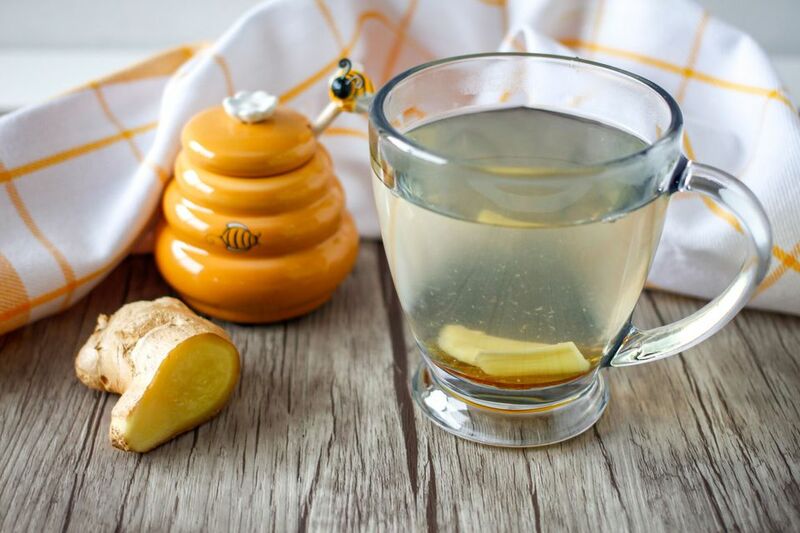 Try this simple and easy-to-make ginger tea as an invigorating way to start your day. This recipe comes from a raw food and natural health retreat center in Thailand. They serve it to their guests bright and early every morning. Remove it from the heat and add the lime juice and honey (or agave nectar) to taste and enjoy your ginger tea. Ginger root is readily available in the vegetable section of most grocery stores, or you can find it at an Asian market. The roots are typically about 1 inch in diameter and a 2-inch section should yield about 2 tablespoons of sliced ginger. If you are using weight, a 2-inch segment should be about 0.5 ounces. If you have leftover ginger root, you can freeze it to use later. This will work perfectly well for ginger tea. Natural agave nectar or honey is used as a sugar-free sweetener, but you can also enjoy this tea unsweetened, depending on your health goals or personal taste. Some people like it sweeter, but it's still delicious unsweetened. If you do enjoy your tea sweetened, you might also like to try this recipe with brown rice syrup as an alternative sweetener. Fresh lime juice complements the ginger perfectly and adds some vitamin C to start the day. If you'd like to use ginger in other recipes, you can make a vegetable stir-fry with a light lemon and ginger sauce, or a homemade carrot and ginger soup topped with fresh cilantro. For something completely different, try a sweet and spicy cold mango soup.